Photography is about capturing the spirit of the moment. At Adler House Photography we believe in combining our creative vision, fresh perspectives and passion for photography together to capture your most cherished moments. We believe in revealing not only the spirit, but the truth of the moment, which is why we use locations and poses that are meaningful to you. We believe every image you receive from our studio should be timeless and reflect your individuality. 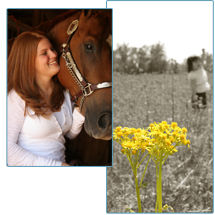 Founded in 1997, Adler House Photography is owned and operated by Penney Adams. A professional photographer for over 15 years, Penney first began photographing families, weddings and other events throughout the United States and Canada after graduating with honors from the Dawson Institute of Photography in Montréal. Penney is an award winning photographer, certified by the Professional Photographers of America as a Master/Craftsman Photographer. She is a past president of the Professional Photographers of Central Ohio, a board member of the Professional Photographers of Ohio and a member of the Better Business Bureau and the Chamber of Commerce. It was Penneys love of photojournalism, combined with her compassion for people and insight into relationships that lead her down the path of wedding and portrait photography. Penney feels honored that this has become her lifes work, believing it is a privilege to be asked to photograph such rare and intimate moments. Penneys intuitive approach to photography that will make your photographic session a memorable experience and your resulting images a treasure to keep for all time.